A former Camp Pendleton-based Marine who admitted to the brutal killing of an Army Reservist in a Fallbrook hotel in 2012 was sentenced to more than a half- century in prison Friday. Kevin Coset agreed to a plea deal earlier this year, admitting he stabbed Alvin Bulaoro more than 44 times before shooting him dead as he begged for his life. In exchange, prosecutors dropped a special circumstance allegation that could have sent Coset to prison for life without parole. He was sentenced to 51 years behind bars Friday and immediately filed an appeal. Bulaoro’s cousin thought she would feel a weight lifted off her chest upon hearing Coset’s fate, but she said she felt sickened instead because her loved one’s killer showed no remorse or emotion. That was right after Bulaoro’s mother begged Coset to stop dragging out the legal process. The case has been delayed repeatedly because the defendant represented himself, but refused to respond to the court. During Friday's proceedings, Coset sat in silent protest for several minutes after the judge asked him a question. Bulaoro’s mother told Coset every time she has to come to court and see his face, it breaks her heart. “He trusted you, but what did you do? You are such a monster!” Mrs. Bulaoro said. Bulaoro, 24, was reported missing Dec. 23, 2012. On Jan. 3, 2013, his body was discovered inside a sleeping bag in the backseat of his 1997 Toyota 4Runner outside a grocery store in Fallbrook, about 54 miles north of San Diego. Bulaoro had two gunshot wounds to the head and 44 stab wounds, and his throat was slit almost from ear-to-ear, according to the San Diego County Medical Examiner. Prosecutors said messages between Coset and Bulaoro indicated they had a sexual relationship. Detectives said Coset purchased a "pay as you go" phone on Dec. 19 and used it to call Bulaoro and send him 29 text messages between Dec. 20 and Dec. 21, 2012, the day Bulaoro was last seen. Investigators noted that Coset's was one of the last numbers Bulaoro had contacted. Detectives also examined the sleeping bag Bulaoro was found in. They said it was a style sold on base at Camp Pendleton, and someone had used a credit card to purchase one on base in the hours before Bulaoro disappeared. The same card was used later that day to pay for a Fallbrook motel room. It had an additional $100 charge for damages including a missing comforter and a large pool of blood. No one at the motel called authorities to report it. Though the room had been cleaned in the weeks since the attack, detectives found Bulaoro's blood under the carpet and on the padding. It was also on the walls, ceiling and furniture, according to court documents. Authorities arrested Coset outside his Camp Pendleton barracks on Feb. 22, 2013. According to the arrest warrant, Bulaoro and Coset had met up in an Albertson's parking lot in Fallbrook. Detectives said surveillance video showed that the suspect parked his car got into the victim's 4Runner, and the two men drove away. The arrest warrant also quoted the victim's brother telling investigators when Bulaoro first went missing that his brother was gay and may have been headed for a popular San Diego gay bar. Evidence in the preliminary hearing revealed Coset had a journal, in which he allegedly wrote about the killing. "Tonight I had to kill for the third time. It was a guy named Alvin Bulaoro in Fallbrook. It was definitely a him or me situation. I find no joy in killing but must survive in my fight against the evil Musgrove organization. They have been plotting against me for years now as well as entering my mind and stealing my intelligence." 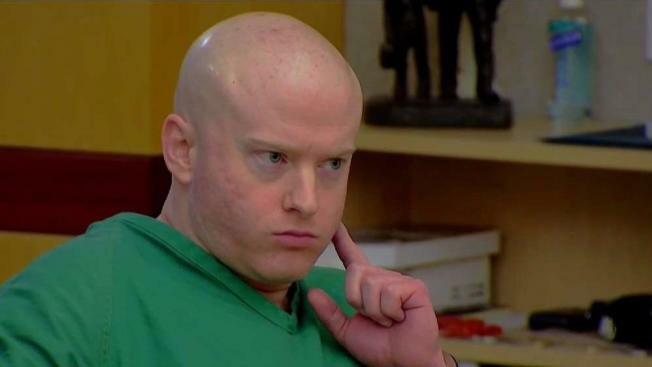 Coset had previously been deemed mentally incompetent to stand trial. Proceedings were delayed while he was in a state hospital. He was later found to be competent and — following a psychiatric evaluation — he was granted permission to represent himself. Bulaoro was in the Navy for four years. He worked as a human resources officer at Camp Pendleton, helping Marines with pay, benefits and housing issues. During that time, he got his bachelor's degree. After leaving the Navy, he became a lieutenant in the Army.